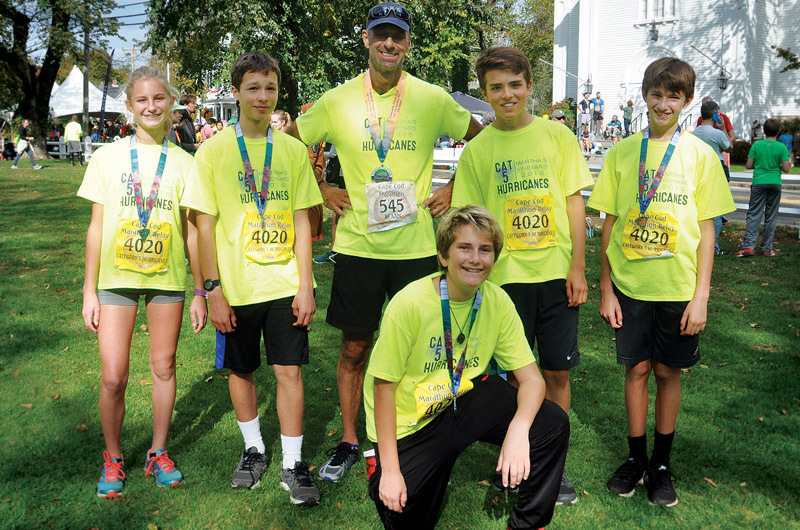 On Sunday, Oct. 30, the MV Hurricanes youth running club relay team ran in the Cape Cod Marathon. The relay team made a strong showing, placing 15th out of 96 relay teams in a field of runners aged 14 to 39. Team members included Vito Aiello, Catherine Cherry, Owen Steenkamp, Zachary Utz and Jackson Wojnowski. Coach Reaan Steenkamp also ran the marathon as an individual. The MV Hurricanes offer year-round running programs for kids in grades 5-8, and is coached by Reaan Steenkamp and Kimberly Kirk. For more information, contact mvmiddleschoolxcountry@gmail.com.